The Balt 55 x 19.75" PJ Training Table and Workstation, Model PJ89824 (Black) efficiently utilizes floor space. 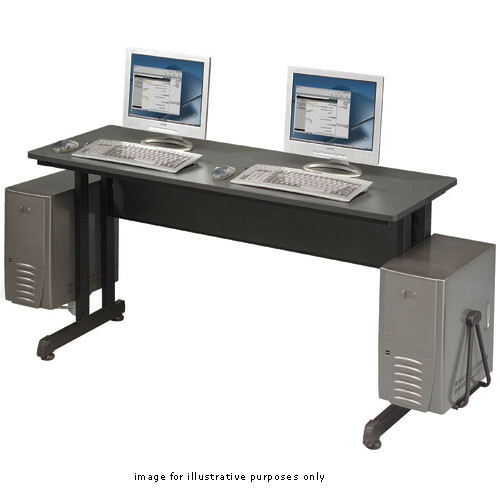 In addition, by employing the optional CPU holders, this desk can serve both as a training station or academic work station. The ruggedly built desk features a laminate top that will withstand abuse, and the included floor glides assist when it comes time to rearrange the room or setup different work groups. Balt - a company with a versatile solution for every office, school, or training department. Box Dimensions (LxWxH) 54.0 x 22.0 x 5.0"